Last edited by Steve Ashton; 25th October 16 at 01:59 PM. If anyone runs into a site selling a tie something like these please post the URL. 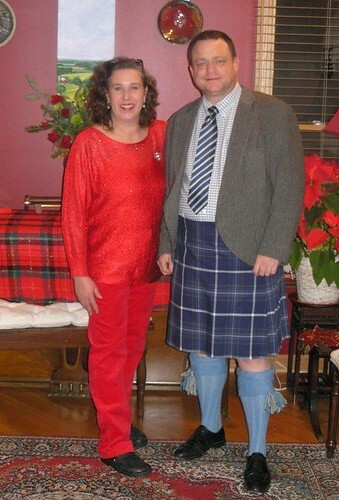 I suppose one benefit of adopting the ABF tie is that you can wear it with just about any tartan, whereas many would think twice about wearing an XMarksThe Scot.com tie with a kilt made of the XMarksTheScot.com tartan. I am having a tough time picturing the ABF with my selection of kilts. It's a lovely tie, a good cause and I wouldn't hesitate to wear it with a suit, but I think the original X-marks tie is smashing with the X-marks tartan. Obviously, I am firmly on the matchy-matchy side of the spectrum. Some days you're the bat, some days you're the watermelon. Have found something similar on kravatten.com look under stripes on the list of styles on the left of the page. I like this a lot. Sorry I missed them when they were available. Not as nice as the old xmarks tie; these are nautica from men's warehouse. Last edited by Bruce Scott; 9th April 17 at 03:03 PM. Last edited by theborderer; 15th April 17 at 09:26 AM.